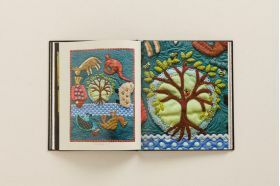 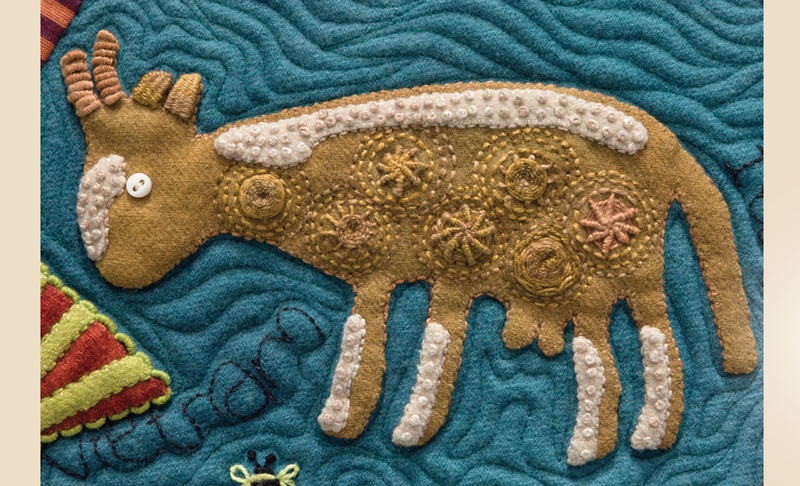 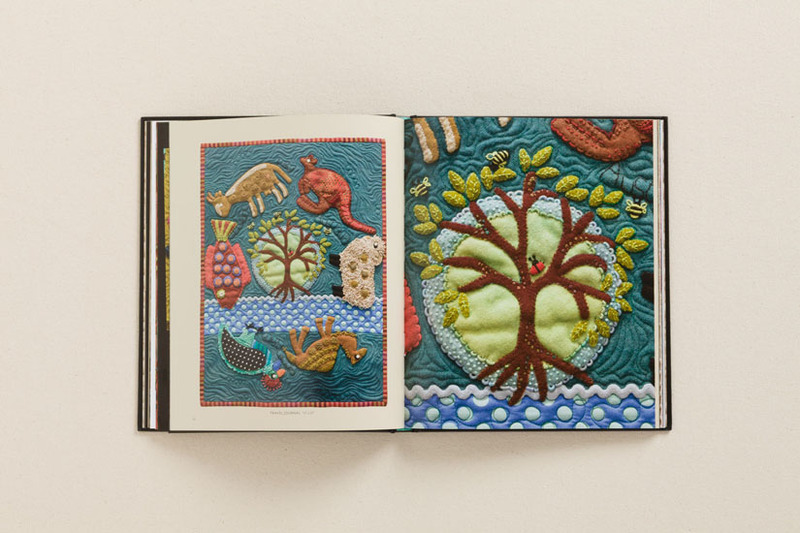 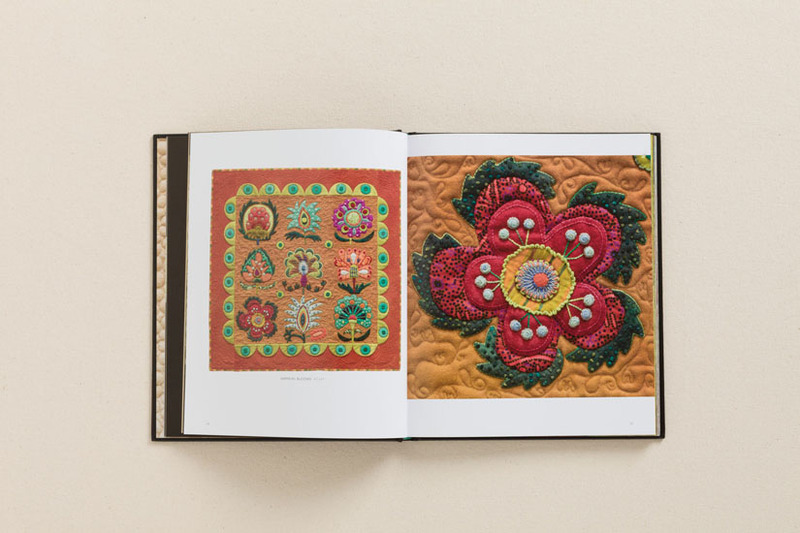 For sumptuous texture and depth, nothing compares to the handwork quilts of acclaimed folk-artist and designer Sue Spargo. This hardcover, 144-page coffee-table book of inspiration is filled with 200 detail-rich photographs. 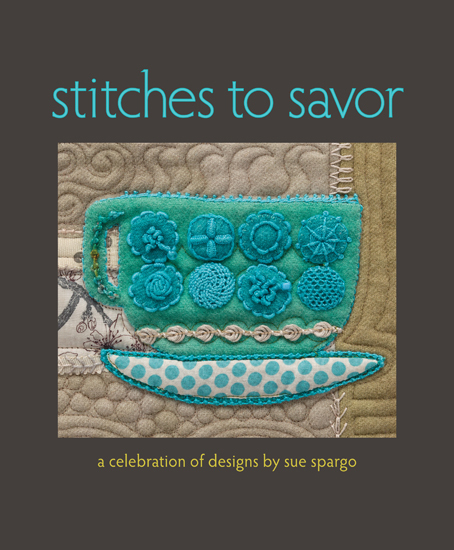 Showcasing Sue Spargo's quilts as they've never been seen before, the lush photography is indulgently close--showing in stunning detail the multilayered richness of each. 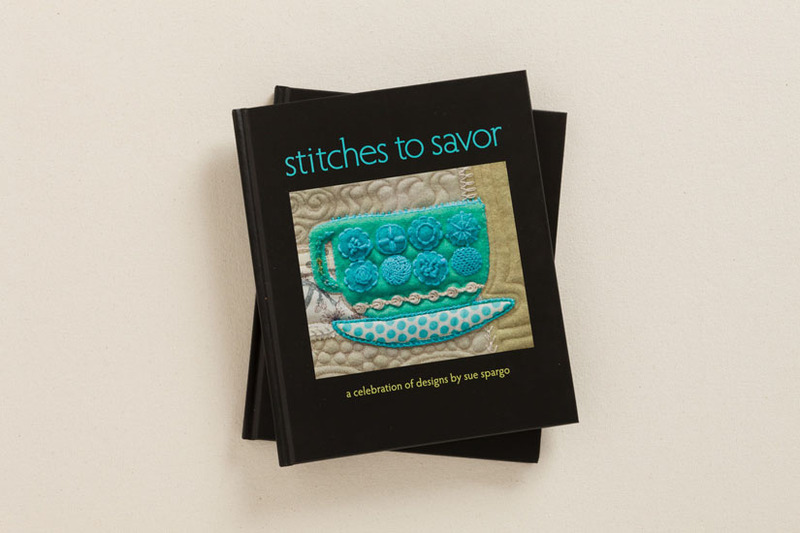 Be inspired by the inventive stitch combinations and variety of embellishments. 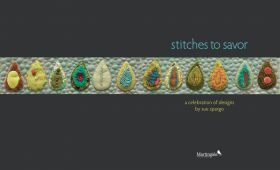 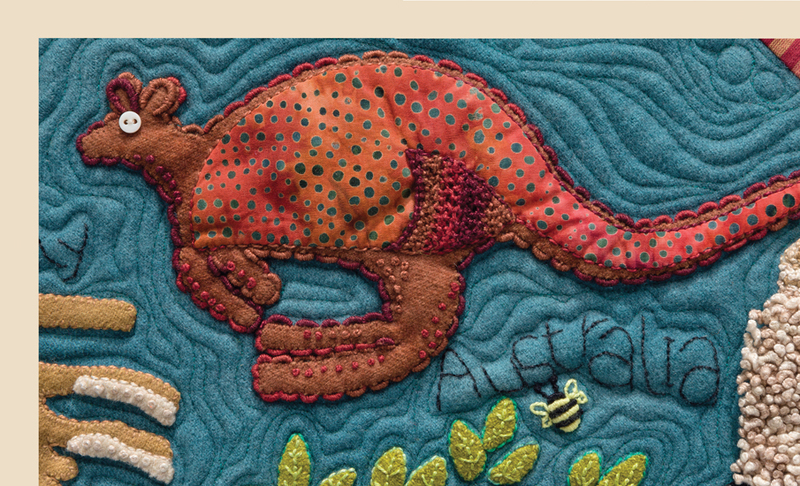 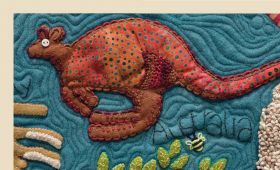 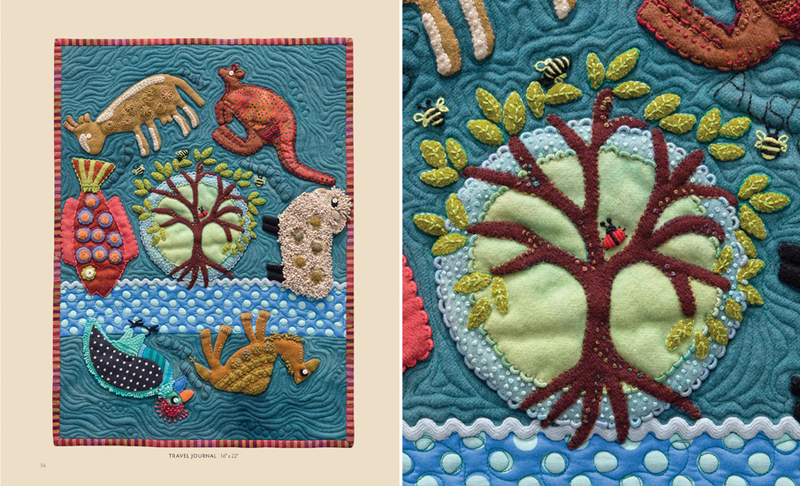 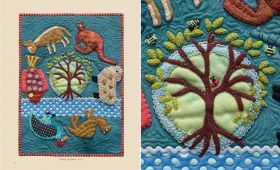 See patterns and shapes in a whole new way in this treasure trove of creativity, appreciating each composition as a whole and for the detail and texture of the stitches. 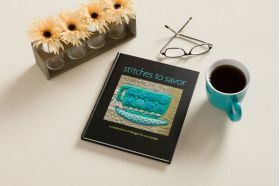 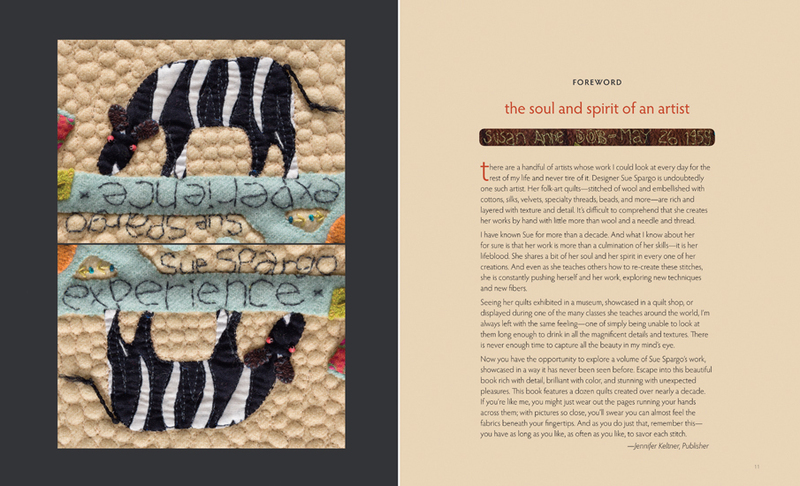 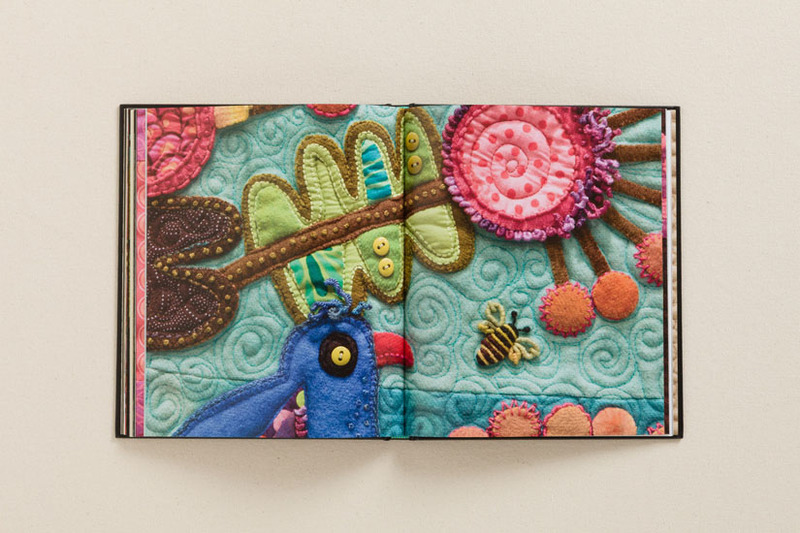 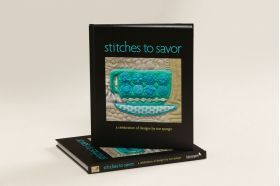 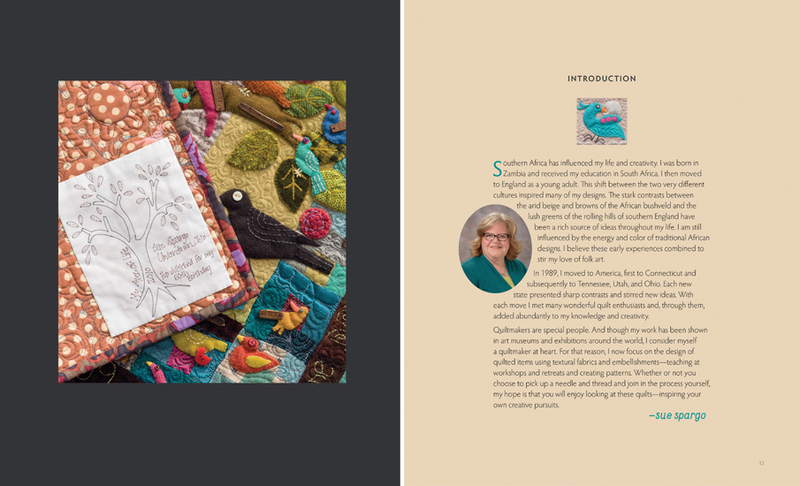 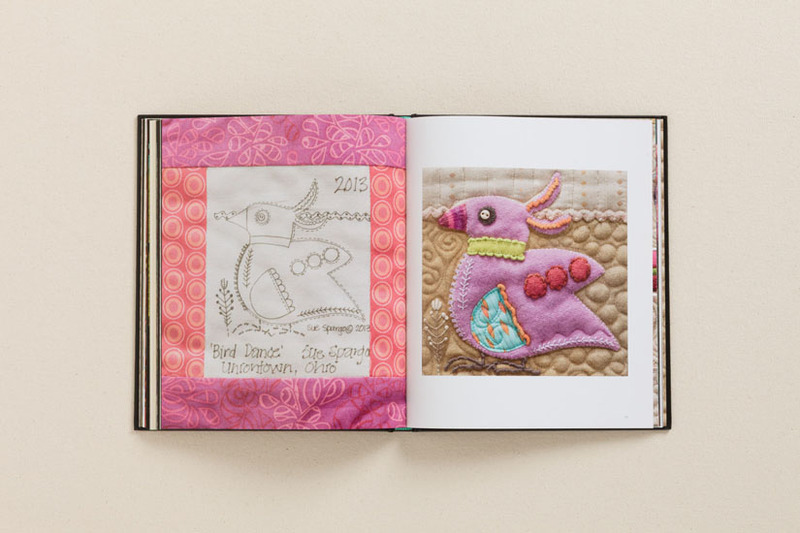 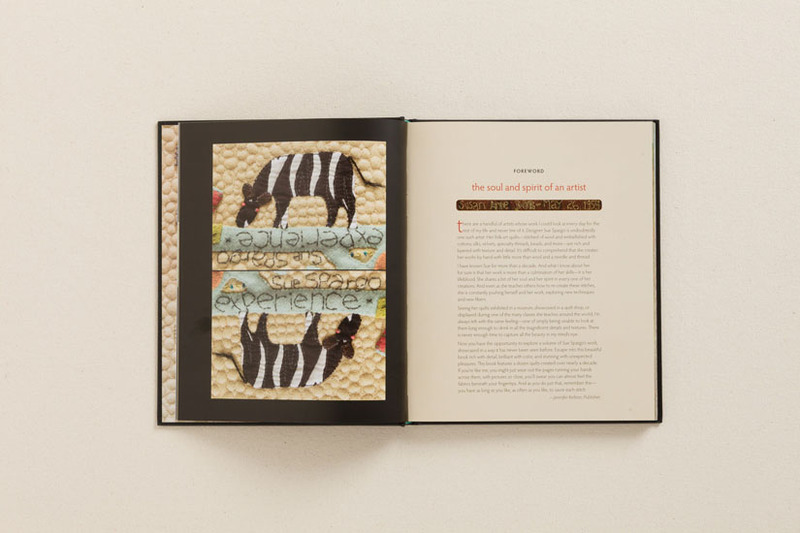 Treat yourself to a volume of inspiration and awe that you'll explore time and time again as you savor each and every stitch. 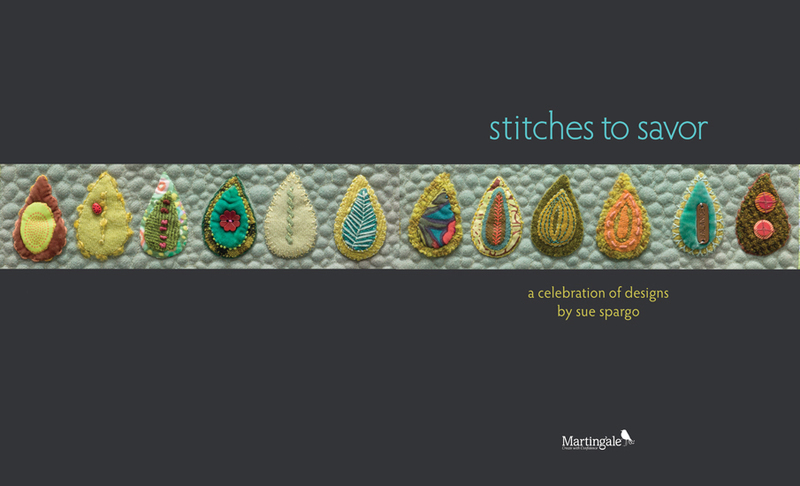 Patterns not included. 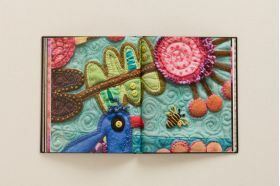 I would drool over this book dreaming of all the different things I could try to do. This book is so unique! 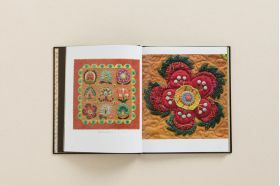 I do Brazilian embroidery which I see here on the projects. 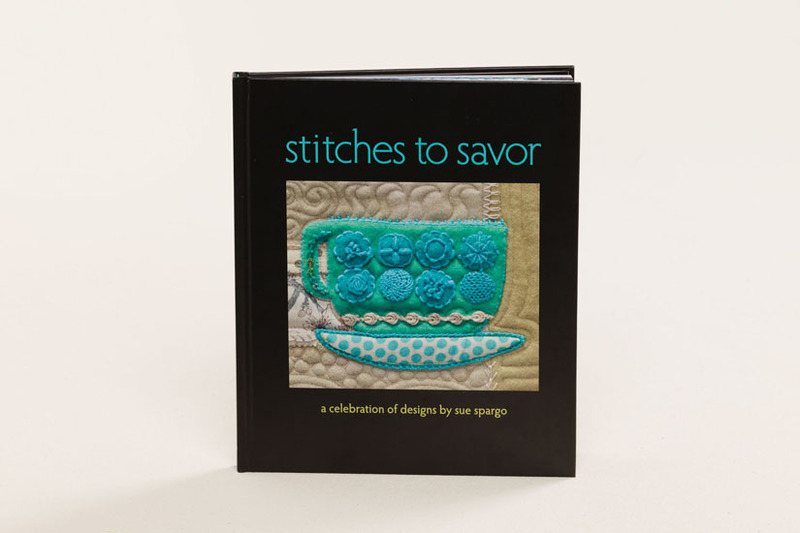 This is the type of book that is meant to be savored as if it was a delectable rich treat. 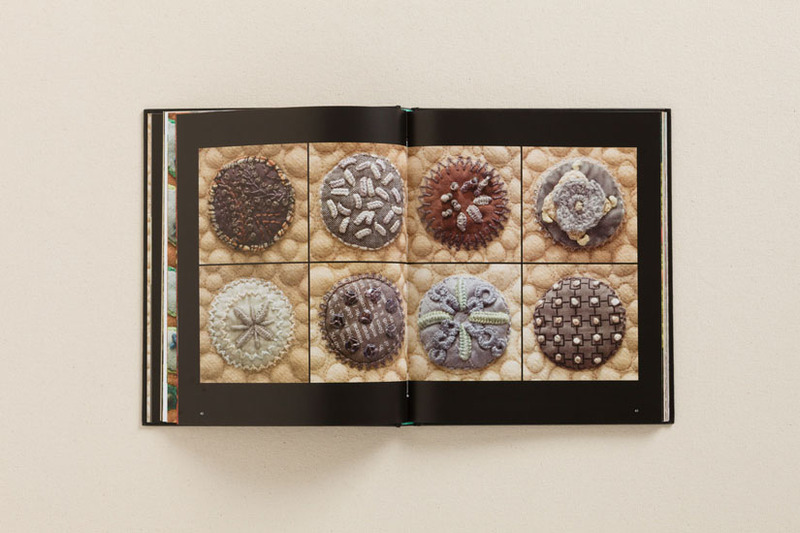 I could spend hours enjoying the beautiful items that are presented within the pages. 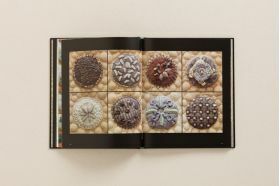 Thank you for introducing this wonderful book at this time. Absolutely beautiful design and stitching work. 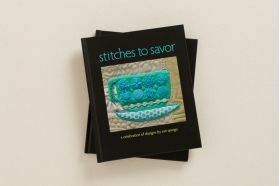 A pleasure to view and a lesson to be learned.